"He's loyal to the bone, the kind of friend who shows up without a word of complaint." Ty Remington. Brette Arnold can scarcely believe her eyes; their paths have crossed again. And of course the first words out of his mouth were, "Oh, my gosh, Brette, what happened to you?" Disease has a way of changing a person, from the inside and outside, in her case. That's the reason she fled Ty's comforting presence the first time, he made her feel things that were terrifying, because hope had a way of pulling a disappearing act when it came to her not-so-ordinary life. "Something was desperately, horribly wrong with Brette Arnold." In spite of her undeniable beauty, she was hollow, gaunt, reserved; a shell of her former self. All those nudges of the Spirit to pray for Brette over the past year make terrible sense to Ty now. But here they are, in the aftermath of a terrible weather event, and people need to be rescued; now Ty wonders if Brette is one of them. Can his heart withstand it? 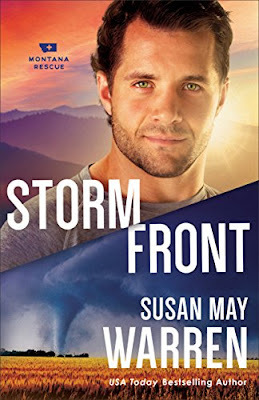 Within the very eye of the storm, Susan May Warren has hollowed out a lovely story of unconditional love; first glimpsed through the eyes of human imperfection, where dark clouds of fear and uncertainty constantly hover, daring faith to brave an appearance. But "perfect love casts out all fear", allowing God to show up big and the lyrics to happily-ever-afters to be re-written, in this adventure-ridden addition to Warren's "Montana Rescue" series. *I received a copy of this book from the author and publisher, with no obligation to review. The opinions stated are entirely my own. I think my heart races even before I pick up a Susie May story! This has been an awesome collection! 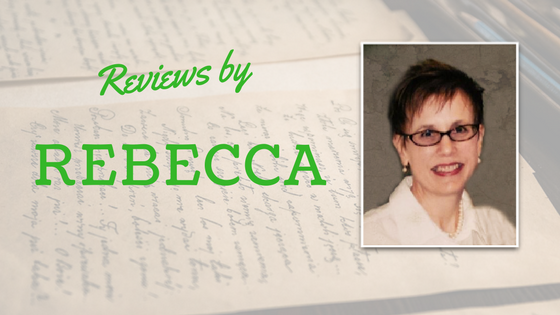 Thanks so much Rebecca!